The ultimate goal we strive for each night of tutoring is for every student to benefit from 1:1 homework assistance – but as we all know, this is not always possible. Many times, we will have a new family of four students join us, or a volunteer will be unable to attend due to an illness and suddenly tutors are working with two (or more) kids! 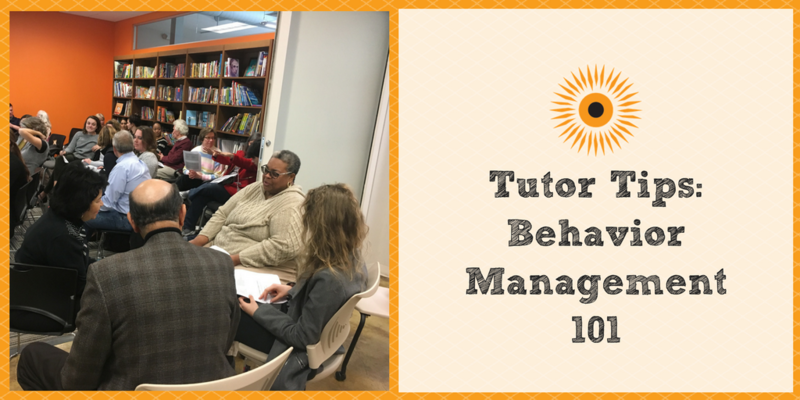 When tutors need to work with two or more students, our Program Coordinators try their hardest to make sure those kids are in the same (or similar) grades. But sometimes, even that’s not possible. 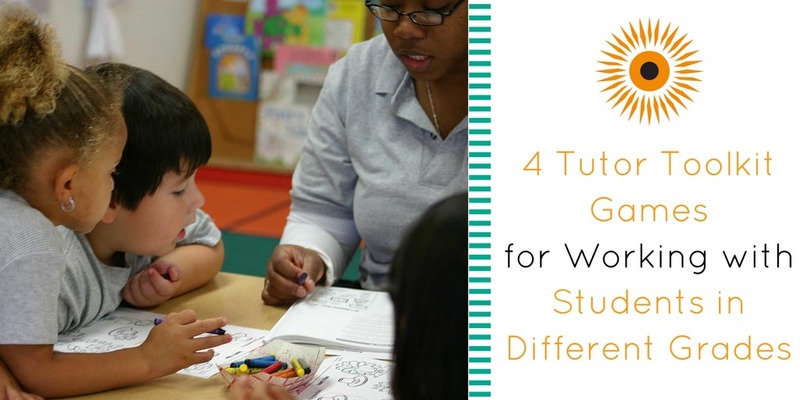 For those times, it’s really helpful to have some ideas in your back pocket for ways to engage students of different grade levels. 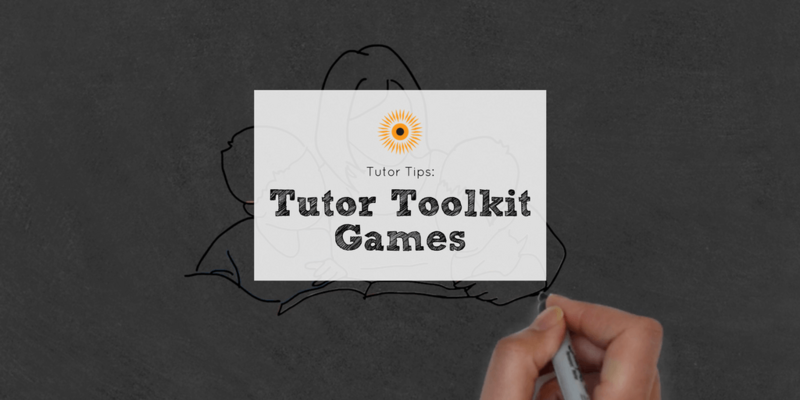 In this blog, we’ll focus on Tutor Toolkit games that can be modified to make working with two students of very different grades fun and educational. Check out four of them below! Honestly, this one probably goes without saying because we hear from EVERYONE that this is a favorite of both tutors and students. But this game is great because you can have each student use the cards that correspond to their grades, but they can play the game together! 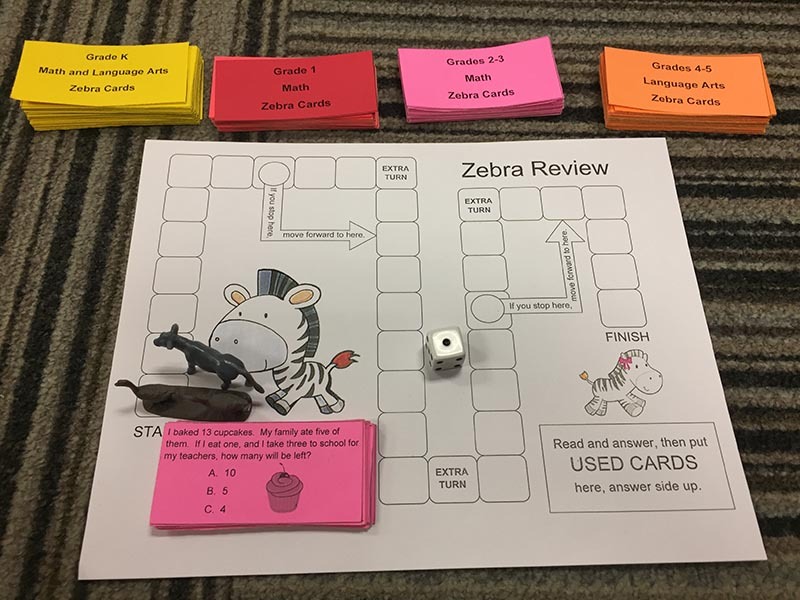 To play, grab the Zebra cards, Zebra Review game board and small items to serve as place markers. Place the Zebra cards answer-side down on the game board and put place markers on the “START” box. Players take turns picking a card and selecting the correct answer. If the answer is correct, the player moves his place marker the indicated number of spaces. If the answer is not correct, the player stays on his current space. After the player draws a card, his turn ends and the next player goes. This game is fantastic because, even though they’re playing the game together, students aren’t competing against each other – they’re competing against themselves. You can customize the type of numbers that each student compares during the game based on their grade level. 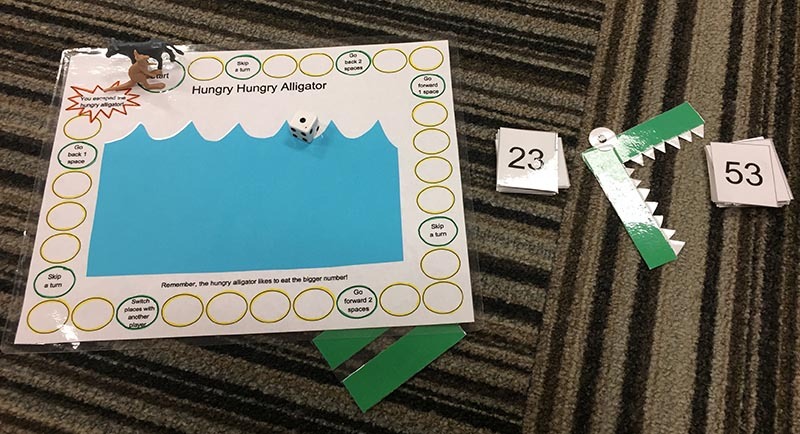 To play, grab the Hungry Hungry Alligator game board, cut-out alligator, “equals” sign, 1 die and place markers. The overall idea of Hungry Hungry Alligator is to compare two numbers by creating an inequality. All players begin by placing their markers on the Start circle. Players take turns comparing two numbers*, and use the alligator’s mouth to make the math sentence true. The alligator can be turned with mouth to the left or mouth to the right to represent both the greater than and less than sign. If the player does this correctly, he rolls the die and moves his marker that many spaces. This is another great game that allows students to play together but practice different math facts based on their grade level. To play, grab a deck of cards, 1 die and 1 place marker per player. Build a large spiral game board with all cards facing up. Players each put a place marker at one end of the spiral as the starting point and work their way around from there. 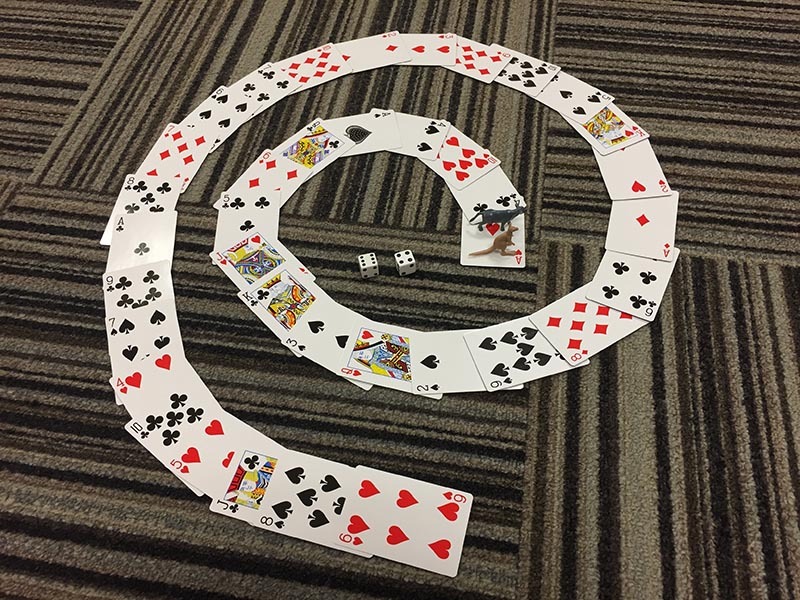 Each player takes a turn rolling the die, and then can use the number on the die and the value of the card they are on to perform a math operation*. If the player is correct, he moves his marker ahead the number of spaces indicated on the die. A language arts activities that students of all age groups can use to practice any type of word! 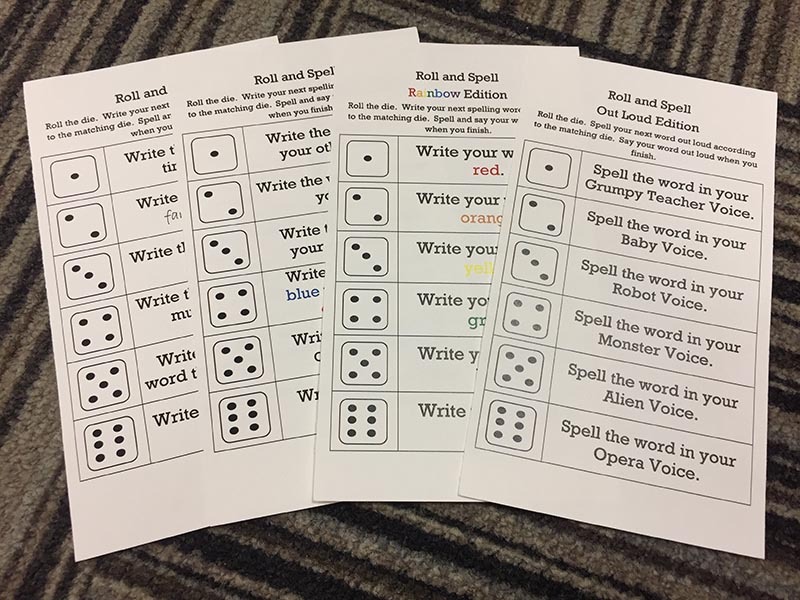 Grab a spelling word list, Roll and Spell cards, 1 die, markers, pencils and paper. Choose a Roll and Spell list. For each word*, the student rolls the die and writes or says the word according to the directions that match the die. After the word has been written, say the word out loud. Continue for all the words in the spelling list. Do you have another toolkit game that is good for working with students of different grade levels? Let us know in the comments below! For more ideas on activities to engage students of different grade levels, check out our iPad apps blog!